Preschool age children range from 3-5 and usually are potty trained. Teachers encourage social, cognitive, language physical and personal development. We group these children by skills as apposed to age so that they may grow intellectually at a pace that they are comfortable with while still challenging them. Simply because a child is not potty-trained is not a reason for them not to advance. Lessons are age appropriate but still challenging. They encourage self-independence and social skills. Math is taught with hands on approach. Children experience addition and subtraction skills through object manipulation, forming groups, add/subtracting and sharing (subtracting from the group) with others. Reading is an essential skill for life-long learning. Children discover alphabet recognition and phonics through rhyming, songs, poetry and simple concepts like learning to write simple words for example their name. 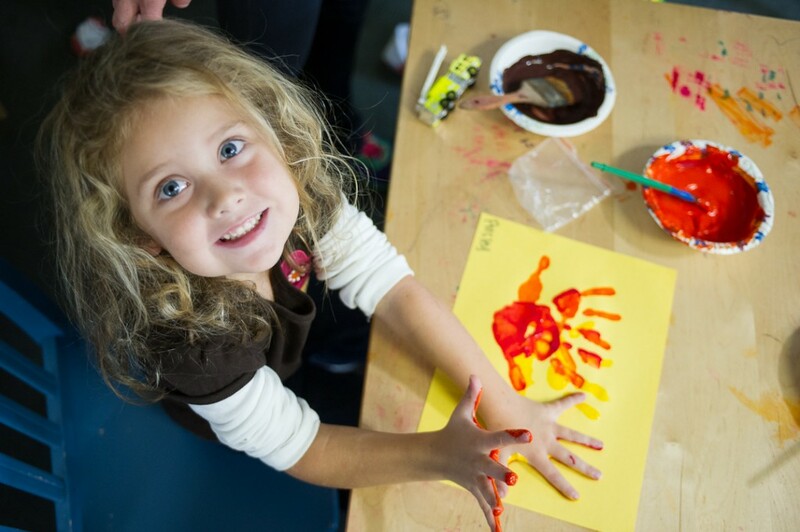 Fine motor skills are refined through art projects like cutting and pasting, drawing, coloring and other crafts. Language skills are emphasized thorough poetry, singing and foreign language development. We offer weekly Spanish lessons by a certified Spanish teacher. A physically well body promotes an intellectually well mind. Classes like soccer and swimming are offered, usually for a small, added fee. Children also have plenty of outside time and beach time. They get to explore and learn about the wonders of the environment and grow their imagination.